Various pump models and styles are designed specifically to pump hot condensate over a wide range of flow and pressure applications. 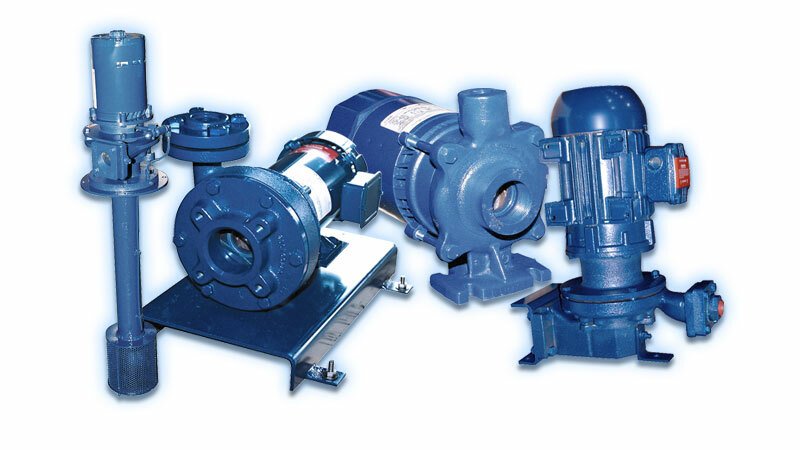 They can be centrifugal or turbine and centrifugal pumps are available as single stage or multi-stage. 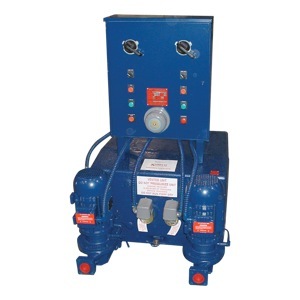 The pumps can be vertical or horizontal flange mounted with 1750 RPM or 3500 RPM motors in single or three-phase. Pumps that require low NPSH for applications with are available to minimize effects of cavitations. 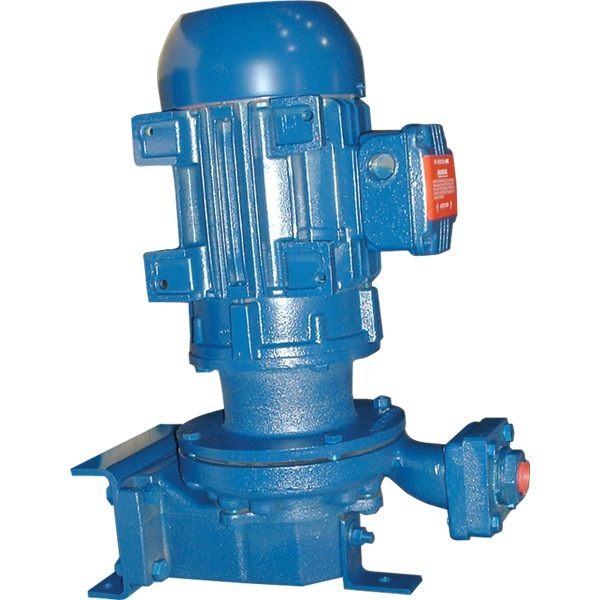 Our pumps are typically bronze fitted with removable wear ring and impeller, and are equipped with industry standard motors that can be purchased locally. Note: suction strainers are not recommended on centrifugal pumps for these applications. They are usually equipped with mechanical seals rated for temperatures up to 250°F, however, higher ratings are standard on deaerator applications. Higher temperature seals and special faces are available upon request. 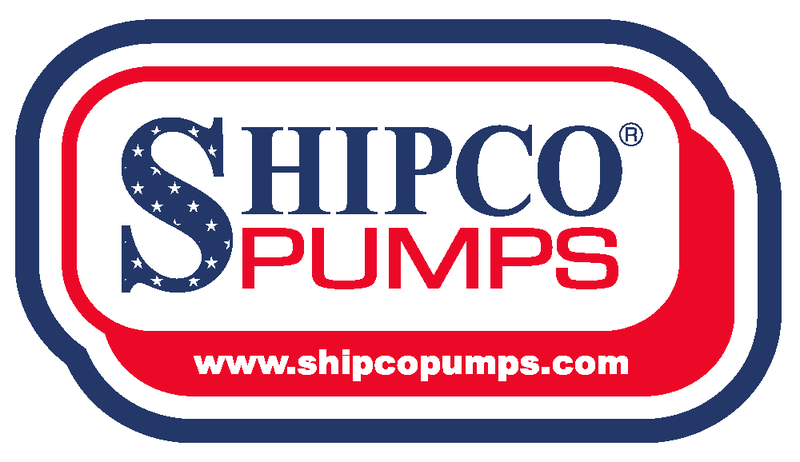 Shipco® pumps can usually be directly bolted to installed condensate units, boiler feed units and surge tanks built by ITT Domestic, ITT Domestic-Ames and ITT Hoffman. With adapter flanges designed by Shipco®, our pumps can also be easily retrofitted to receivers made by the select manufacturers and custom adapter flanges can be designed. 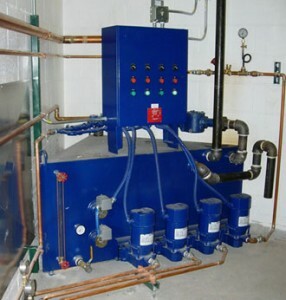 A Durable condensate unit with Cast iron receiver for pumping water temperatures up 200°F. A standard cast iron receiver is provided with a standard 20-year warranty against corrosion failure for years of service. Units are floor-mounted style and designed for capacities from 1,000 to 100,000 sq. ft. EDR with tank sizes ranging from 10 gallons up to 500 gallons. Units are available in either simplex or duplex configurations with a variety of options including gauge glass, thermometer, control panel; motors can be either 1750 RPM or 3500 RPM, single or three phase. 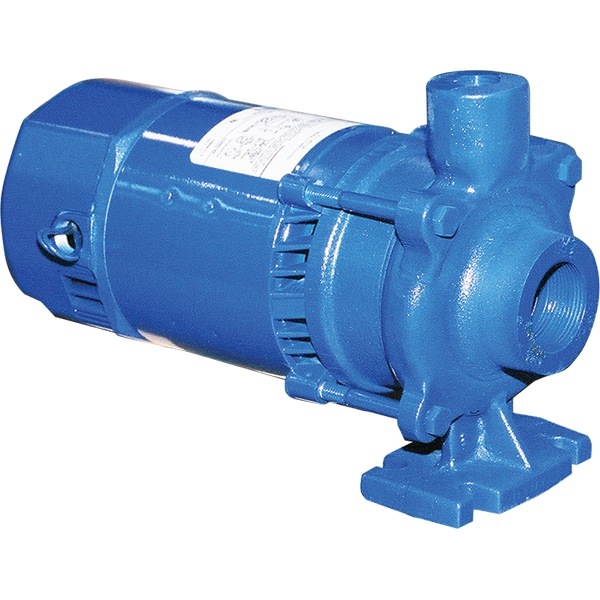 Pumps typically equipped with industry standard motors and with mechanical seals rated for temperatures up to 250°F. Higher temperature seals and special faces available upon request. 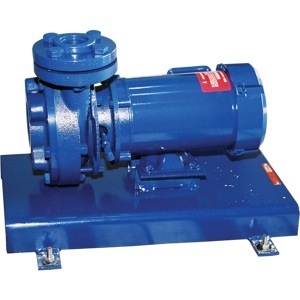 A multi-stage, centrifugal, bronze-fitted, pump available in either horizontal or vertical design. Pump typically used for applications with flows up to 500 GPM and pressures up to 340 psig. Typically equipped with industry standard motors available in single or three-phase at 3500 RPM only. Pumps are typically furnished with bleed lines, sometimes called seal flushing lines, to help prevent the pump from vapor binding and to allow pump operation against a dead shut-off for a period of time without burning seals. Standard silicon carbide/viton mechanical seals provide for temperatures up to 300°F. Higher temperature seals and special faces available upon request. All pumps come equipped with an automatic flow control valve for balancing or throttling pump to the designed condition point. On deaerator applications, where pumps run continuously, an additional bypass orifice must be installed when motor exceeds 7-1/2 HP. Model D pumps are single-stage, centrifugal, bronze-fitted design for applications with temperatures typically 200°F or less. However, higher temperatures are possible depending on specific operating conditions. Pump types (such as 106-D, 110-D, etc.) selected depends on the design operating conditions—flow rate, discharge pressure and NPSH requirements; impellers trimmed to operating conditions. Model D can be flange-mounted (Model DF) either vertically or horizontally (Model DH). Vertical mounting saves floor space and avoids dirt and water. Pump can also be fitted with a threaded suction adapter flange for in-line applications (DFT). Equipped with industry standard motors available in single or three-phase at either 1750 RPM or 3500 RPM. Pumps are furnished with bleed lines, sometimes called seal flushing lines, to help prevent the pump from vapor binding and to allow pump operation against a dead shut-off for a period of time without burning seals. Standard mechanical seals provide for temperatures up to 250°F. Higher temperature seals and special faces available upon request. An optional isolation valve for installation in the suction piping is available to quickly remove the pump for repair and maintenance without draining the receiver and saving labor costs. A single-stage, centrifugal, bronze-fitted, horizontal design. 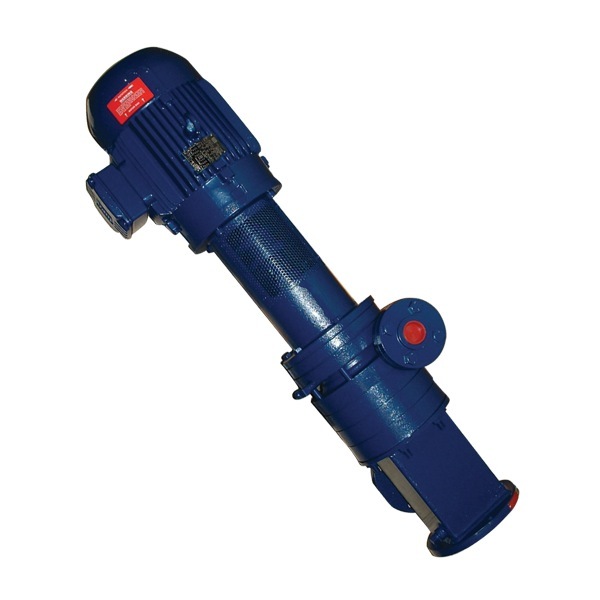 Pump is fitted with a threaded suction enabling pump to be used for in-line applications such as chilled water systems, cooling towers, circulators, washer and booster, etc. 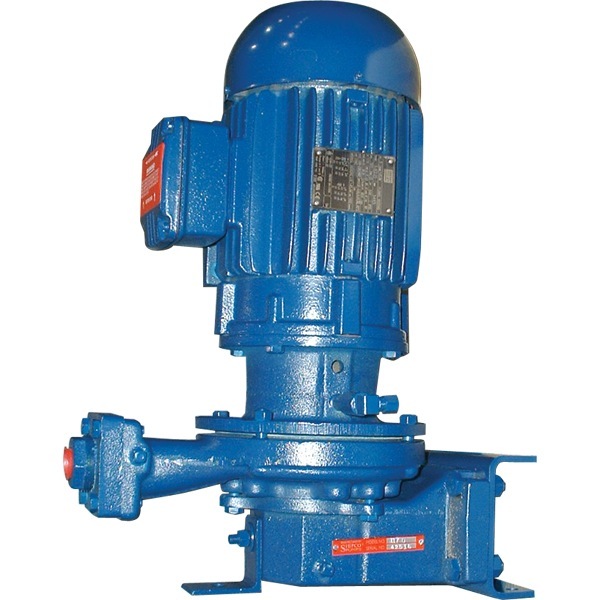 Pump types (such as 110-H, 116-H or 127-H) selected depends on the design operating conditions—flow rate, discharge pressure and NPSH requirements; impellers trimmed to operating conditions. Can be flange-mounted either vertically or horizontally. Vertical mounting saves floor space and avoids dirt and water. Model P is a two-stage, centrifugal, bronze-fitted design for applications requiring low NPSH. The Model P pump is fitted with an axial flow propeller (sometimes called an inducer) and straightening vanes that provide the necessary NPSH for pumping high temperature water without cavitation occurring. Pump types (such as 110-P, 116-P, etc.) selected depends upon the design operating conditions—flow rate, discharge pressure and NPSH requirements; impellers trimmed to operating conditions. Can be flange-mounted (Model PF) either vertically or horizontally (Model PH). Vertical mounting saves floor space and avoids dirt and water. Pump can also be fitted with a threaded suction adapter flange for in-line applications (PFT). Equipped with industry standard motors available in single or three-phase at 3500 RPM. Pumps are furnished with bleed lines, sometimes called seal flushing lines, to help prevent the pump from vapor binding and to allow pump operation against a dead shut-off for a period of time without burning seals. Standard mechanical seals provide for temperatures up to 250°F. Higher temperature seals and special faces available upon request.